(2017) From Almansa in Castilla-La Mancha, in the southeast of Spain, this has an extremely vivid, deep and vibrant colour, and aromas to match. Ripe, juicy plums, black berries and a touch of meaty spice leap from the glass, presenting a bottonless pool of dark fruit aromas. In the mouth the sweetness of ripe fruit is buoyant and full, but there’s a fine background of earthy tannin, a touch of savoury, spicy oak, and good plummy acidity too. 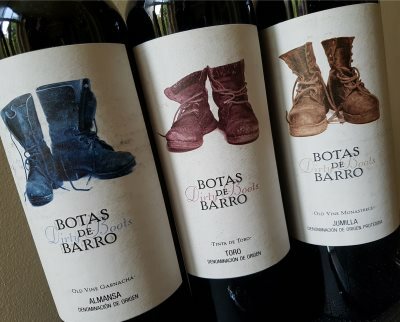 Really lovely drinking this, and possibly my favourite of the three Botas de Barro wines tasted. 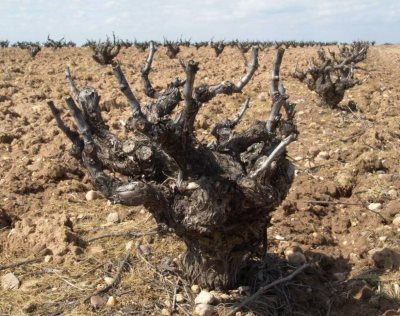 (2017) The sixty-year-old Monastrell (Mourvèdre) here is planted on its own roots, grown by an 83-year-old Pedro, a fourth generation farmer in Jumilla, in the south east of Spain. There’s a pure, ashy, dry black fruit on the nose, very direct and bold, some juicy currants and a hint of something violet-like. In the mouth the sweetness of the fruit is abundant, but as it fills the mouth with juicy ripe flavour, the firm tannins and edge of acidity clamps down, giving this savoury appeal, a little herbal and nutty dry note adding to that. Is there a little oak here? It certainly has some rounding and texture, in a lovely, easy drinking but quite powerful style. (2017) Made from 100% Tempranillo – known locally here in Toro as Tinta de Toro, this is another jammily-fruited, copiously-endowed red with massed of crushed berries and a light sheen of vanilla. Coming from 60- to 100-year-old vines, there’s a natural concentration, and a bit of real grip as well as all that supple black fruit. Another delicious wine in this neat and excellent range, and a bit of a bargain if on a shelf near you at anywhere around a tenner. VINISUD, Wines from the Mediterranean Excellent ratings in Peñin. Fruit of hard work in winery.